I installed my BAP over the weekend, I bought the kenne bell kit from Lingenfelter which included everything for the Camaro. The instructions state to cut the FPCM wire and connect the 17v wire to this. I didn't like the idea of doing it this way in as it seemed a bit untidy and not well thought out. I bought a fuse socket, you can find these on ebay, this plugs directly into the fuse that powers the FPCM and allows you to solder terminals onto the exposed pins. I tested the FPCM fuse for which side of the fuse was power and which side was sending that power to the control module. 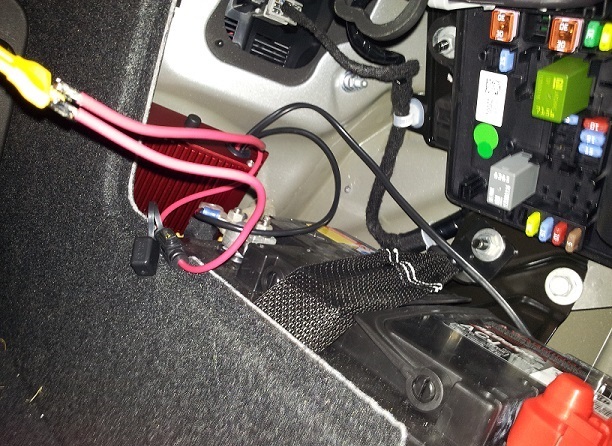 I then wired the power source from the power side of the fuse socket to the BAP and the 17v source to the other side. 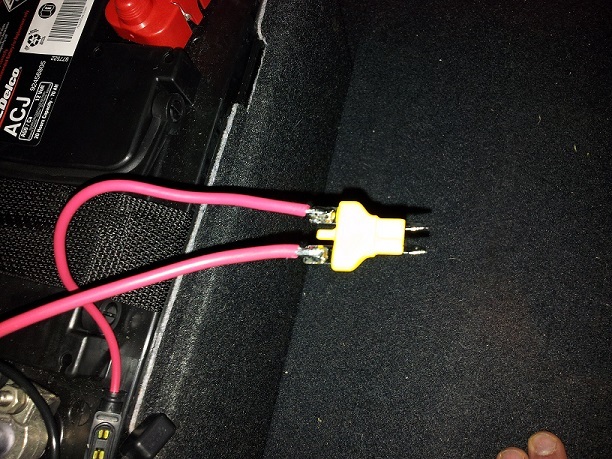 This resulted in a very neat install and nothing on the car was cut in order to complete the install. Should the BAP fail or blow a fuse i can simply put the original fuse back in the original fuse location and drive home avoiding going into boost. But the install is highly easy and easily reversible, none of the connections are lose or will come out in any way. This was much better than the suggestion instructions of cut the FPCM wire that goes to the fuse and mess around with removing the fuse box in order to do it. This is also a much faster way of installing the BAP. The pressure switch is in the engine bay and activates at 5psi, this has bumped my fuel pressure up from 45psi to 65psi now with ID850 injectors so there is boat loads of room now, the pump runs on 12v until the car hits 5psi, at which point 17v is "available" when i say available it may not be used until the ECU demands more pressure. Think of this as more muscle behind the system, when it goes 17v the ECU may still be demanding 50psi of pressure it's not until the ECU demands 65psi is it then that the fuel system in 12v format isn't able to keep up fast enough to maintain 65psi so the extra muscle the 17v is used. This mod is way cheaper than a complete fuel system and the 17v is only being applied when the demand is required so the pump isn't being over supply voltage constantly....however many US guys do wire them up for constant 17v and I have not heard of anyone having any issues with them. Last edited by 07GTS; 10-02-2016 at 09:29 PM. 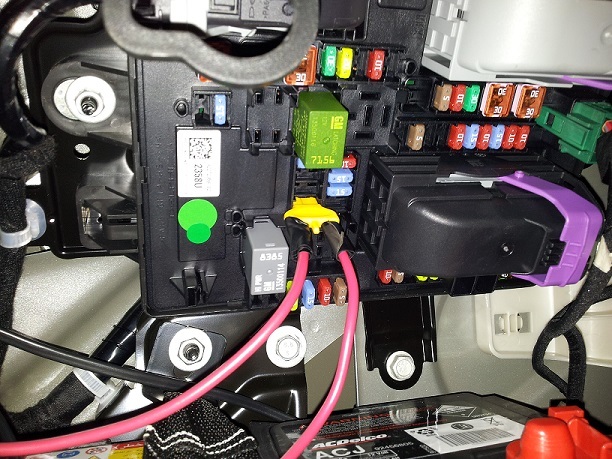 No it doesn't work like that the BAP is now supplying 12v to the FPCM if the fuse blows i have no fuel, i then have the choice to replace the BAP fuse and continue racing etc etc or replace the FPCM fuse and drive home avoiding boost. 99.9% of ZL1 owners have this same BAP and have zero issues, rarely do they blow fuses when wired up properly. The only purpose of the BAP is to supply more voltage when the ECU demands higher pressure and the ECU cannot get enough voltage to itself. And this is where the fuse socket plugs into the FPCM, right hand side is 12v power source for the BAP, left had side feeds 17v into the FPCM when boost pressure hits 5psi. Thanks for the tips Kirk. Where do you guys run the wiring into the engine bay? And where is there a boost port on LSA HSV's? Run the wire into the car, under the back seat, over to the drivers side, along the drivers side door under the sill plate, up behind the throttle there is a rubber bung, this bung accesses under the wiper motors, then T-piece into your boost port which is on the front left of the blower casing.